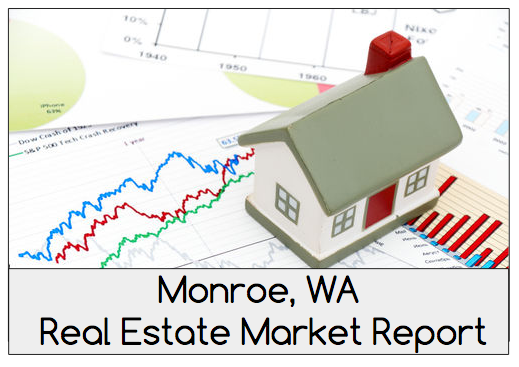 Real Estate Market Report | Monroe, WA | Because Home Matters. Below you will see a list of recent Active, Pending, and Sold Real Estate Listings in the Monroe, WA area. If you have specific questions about the real estate market, feel free to Contact Us or give us a call at 425-367-1252. Properties for sale (ACTIVE): Listings for sale that are currently being marketed but do not have a purchase agreement. Days on Market (DOM): The marketing period of currently active listings. This does not account for some listings which have had a previous listing period, but were re-entered as a new listing. List Price: The price that a property seller is currently asking. Properties Under Contract (Pending): Listings for which a contract has been signed but has not yet closed. The actual contract price does not become public record until the property has closed. Sold: Properties that have closed in the last 90 Days.